THE Post Newspaper is using people like Forum for Democracy and Development (FDD) president Edith Nawakwi to propagate sympathy messages to hoodwink Zambians into believing that the tabloid is being persecuted by Governmnet, Patriotic Front (PF) Lusaka Province youth chairperson Kennedy Kamba has charged. Commenting on Ms. Nawakwi’s statement that Government officials harassing the Post Newspaper would pay because their days in office were numbered, Mr. Kamba said Ms. Nawakwi and Rainbow Party leader Wynter Kabimba had no choice but attack Government in exchange for coverage. He said any sane person would know that Government’s revenue came from taxes that business houses remitted to the State and that no single institution was exempted from doing so as that would paralyse Governmnet operations. He said it was wrong for Ms Nawakwi to portray the Zambia Revenue Authority (ZRA’s) move to demand for tax from the Post as harassment when she was aware that tax evasion robbed Governmnet of revenue from which it provided services to its citizens. 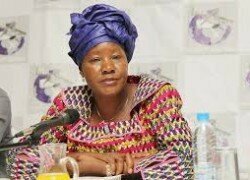 He said Ms. Nawakwi and Mr. Kabimba’s defence of lawlessness was appalling especially that they duo were seeking public office which demanded that they put the interest of Zambians ahead of theirs by ensuring that their actions on national matters bordered on the aggregate goal of serving Zambians and not a few individuals. He said the Post owed Zambians and not State House and wondered why the two leaders were taking turns to condemn President Edgar Lungu over the Post’s failure to meet its tax obligations. “The two (Ms. Nawakwi and Mr. Kabimba) have to talk in order for them to enjoy coverage from the Post Newspaper even when what they are talking about is nonsense. The Post owes Zambians money and the ZRA are within the confines of the law to demand for what Zambians are owed because that is their duty and they are not acting on instructions from anyone because they don’t need to be directed on what they should do. “It is sad that even when President Lungu has made it clear that Governmnet does not interfere in the operations of the ZRA, the two find it fit to align Governmnet to the Post’s problems without looking at the aggregate picture. All of us are paying tax for our businesses; even me, I am paying tax every month. What is special about the Post Newspaper that they should be exempted?” Mr. Kamba asked. He said there was need for politicians to sober up and avoid making statements that were of no benefit to the Zambian people and avoid creating unnecessary discontentment among the people to gain political mileage. 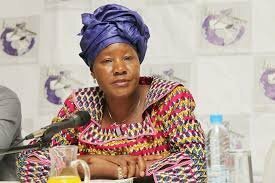 He said Ms. Nawakwi should not cheat herself that she would fix anyone because the PF would still win the 11 August elections because it was the strongest among political parties participating in this year’s polls, adding that the achievements of the party since forming Governmnet in 2011 would be the reason Zambians would give it a second mandate.